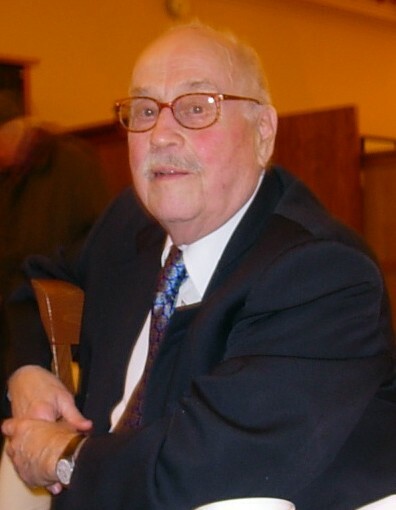 Walter Bernard Gray, age 90, died on Thursday, February 7, 2019, at Capitol Lakes in Madison, Wisconsin. He was born on January 3rd, 1929, in Meadville, Pennsylvania, the son of Floyd Gray and Nellie O’Neill. He graduated from Duquesne University’s School of Music in Pittsburgh, PA and completed his M.A. and Ph.D in musicology at the University of Wisconsin Madison. A recipient of a Fulbright scholarship, he studied in Frankfurt, Germany. A professor of musicology at the UW-Madison and a former dean of the North Carolina School of the Arts in Winston-Salem, Walter published numerous scholarly articles and hosted a radio program on Wisconsin Public Radio station WHA. A long-time resident of Madison, Walter contributed much to the community as a choir director, church organist, and by writing much-loved program notes for the UW Symphony Orchestra. Survivors include his brother Floyd (Bill) Gray and wife Daniele, long-time residents of Beaurecueil, France. A Mass of Christian Burial will be held at 10:30 a.m. on Monday, February 11 at ST. PATRICK CATHOLIC CHURCH, 404 E. Main Street, Madison with Msgr. Kevin Holmes officiating. Visitation will be held from 10 a.m. until the time of Mass.